We want all of our residents to be comfortable and safe in their Two Rivers home. We clearly need to satisfy our own expectations regarding the quality of homes provided, but we are also required to meet the Government’s own national quality standard which is called ‘Decent Homes’. 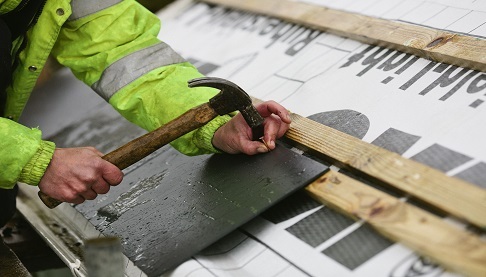 We therefore have an on-going programme of improvements to make sure our homes measure up. Leaflets containing further information on each of the four programmes are available in the ‘Library’. We use a combination of our in-house tradespeople and local external contractors (eg Engie (formerly known as Keepmoat), Laker, United Living (formerly known as Bullock), Rixonway and PH Jones) to carry out the work. If your home is included in any of these programmes, we will write to let you know and provide further details well in advance of the work starting. However, if you would like to see when this might be, you can log in to the ‘Improvement works’ section of your account. Please note the dates under ‘Estimated survey year’ are for guidance only, and may not represent the exact year when the work is carried out. If you would like further information, please read our ‘Investing in your home’ booklet, which can be found in the ‘Library’.